< Sarah Corbett: How Can Introverts Be Activists Too? 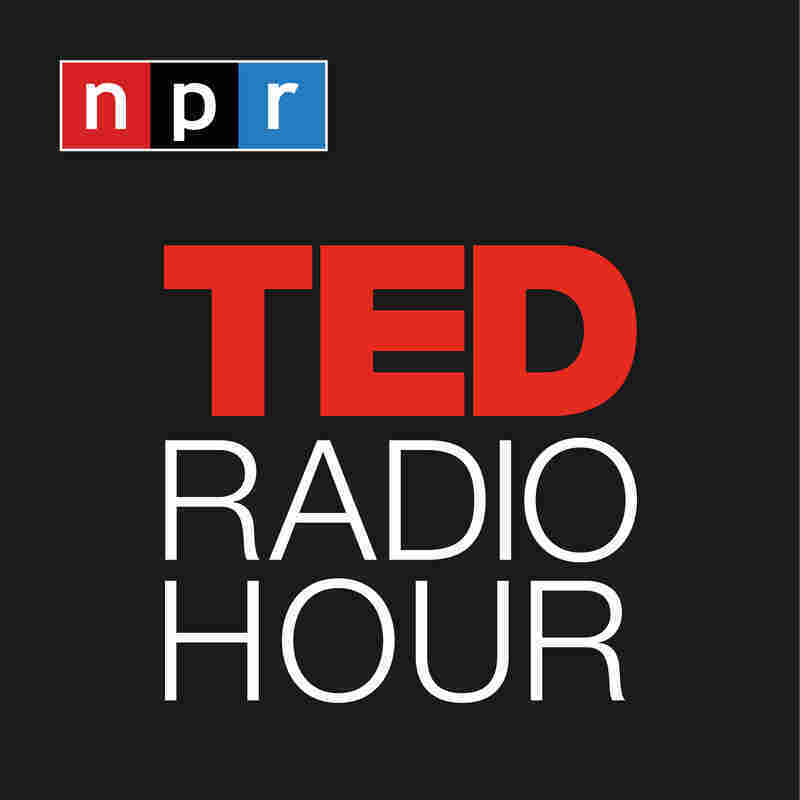 It's the TED Radio Hour from NPR. I'm Guy Raz. And on the show today, ideas about Changing The World. And for some people, the idea of getting involved, of joining a movement, can seem a little daunting, especially if you're an introvert. RAZ: This is Sarah Corbett. CORBETT: I'm quite an extreme introvert. RAZ: But Sarah is also an activist. And her approach? Activism that's quiet, reflective, even intimate - something known as craftivism. CORBETT: So craftivism was a word coined in 2003 by an American lady called Betsy Greer, who's a knitter, and noticed that lots of knitting groups were talking about personal issues and also political issues. And for me, I think it's most effective as a form of gentle protest. So making something for yourself and using the time of crafting to think deeply about how you can be a good global citizen. So that's what I do in my craftivism. RAZ: Sarah Corbett explains more about craftivism from the TED stage. CORBETT: I use craft, like needlework, as a way to bring in nervous, quiet introverts into activism. By doing repetitive actions like handicraft - you can't do it fast. You have to do it slowly. And those repetitive stitches help you meditate on the big, complex, messy social change issues. But doing needlework together as well - extroverts and introverts - because it's a quiet, slow form of activism. While you're stitching, you don't need eye contact with people. So for nervous introverts, it means that you can stitch your way next to someone or a group of people and ask questions that you're thinking that often you don't get time to ask people or you're too nervous to ask if you give them eye contact. So you can get introverts, who are those big, deep thinkers, saying, that's really interesting that you want to do that extrovert form of activism that's about shaming people or quickly going out somewhere. But who are you trying to target, and how? And is that the best way to do it? So it means you can have these discussions in a very slow way, which is great for the extrovert to slow down and think deeply, but it's really good for the introvert as well to be heard and feel part of that movement for change in a good way. And one example that I do a lot with introverts - but with lots of people - is make gifts for people in power. So not be outside screaming at them, but to give them something like a bespoke handkerchief, saying, don't blow it. Use your power for good. We know you've got a difficult job in your position of power. How can we help you? And what's great is, for the introverts, we can write letters while we're making these gifts. So for us, Marks & Spencer's - we've tried to campaign to get them to implement the living wage. So we made them bespoke handkerchiefs. We wrote them letters. We boxed them up, and we went to hand-deliver our gifts and to have that form of intimate activism where we had discussions with them. And what was brilliant was that the chair of the board told us how amazing our campaign was, how heartfelt it was. So that was that intimate form of activism. We had lots of meetings with them. We then gave them Christmas cards and Valentine's cards to say, we really want to encourage you to implement the living wage. And within 10 months, they'd announced to the media that they were going to pay for independent living wage. CORBETT: You never know, Guy. RAZ: Right? There's like a - you know, you can imagine them with a bullhorn, you know, and speaking to hundreds of people saying, let's mobilize, and come on, let's go do this. And so I think when people think of the word activist, they think of somebody who's sort of an obvious leader who can speak extemporaneously to lots of people really quickly. And you are an introvert. CORBETT: Well, I think I obviously knew activists as, you know, people who would do the big speeches. But I also saw activists as people who would - you know, when we were squatting to save social housing, there was a rota for people to be in the housing so that the bulldozers couldn't come and knock them down. And I saw them just as important as the people making the cups of tea to encourage people. So I never had in my head that an activist has to be loud and on a stage and on a podium. And I think, you know, growing up in a Christian family, personally, humility is a huge asset that we talk about. You know, we're there to serve a cause, not to be a celebrity. And for me, one of the big click moments, in a way, was in secondary school. I was nominated to be head girl for my peers, which - I never wanted to be head girl. I don't like people looking at me. I don't like being on a stage. But on the other side, I could see that I was quite unusual in my peer group that - I did know how to chair a meeting. I knew how to write minutes. I knew how campaigning worked. Campaigning doesn't have to be petitions or demonstrations or strikes. It can be asking questions of the right people, finding out who influences them. The most effective success in a campaign is if someone makes a decision who's already in power who can put that decision in place, and they don't even realize that you are helping to change their mind. You don't get any praise for it. And they might not even realize that you've helped change their heart or their mind or their business policy or their - you know, their law and government. RAZ: ...To stand up and to speak out. But, I mean, the idea here is that that is not a requirement. That is not a job description for how to change the world. CORBETT: Oh, yeah. And to stand up and speak out - well, sometimes we need to sit down and listen and not do that. And also, campaigning can take a long time. You know, everyone loves my Marks and Spencer story because it's nice and compact and shiny, and it took under a year. But that's very rare. In most campaigns - you know, it all takes a long time. But I think that's really important that we see it as progress and not as transactional. We need to see the strike as one piece of the jigsaw puzzle, not the whole puzzle. I think it's really important that we see everything holistically and are also humble with, yes, I'm one person, so I might not be able to change the world. But I also can do a lot as an individual. RAZ: ...Make a change. You can do this in quiet ways, too. CORBETT: And I think my worry is with the loud, extrovert stuff is, one, you're excluding half of the world's population who say, I can't do that, or I'm too nervous. But also, it's quite ego-led. And, you know, I think that's very sobering for activists to learn about the importance of taking a step back and breathe and going, OK, do I need to lead this movement, or do I need to be behind the movement, helping in quiet, where I'll never get praise for what I've done - which I think, you know, is often where there's more power - to be alongside people or to quietly help others. CORBETT: So I've got two calls to action - for the introverts and for the extroverts. For the extroverts, I want to say that when you're planning a campaign, think about introverts. Think about how valuable our skills are just as much as extroverts. We're good at slowing down and thinking deeply. And the detail of issues - we're really good at bringing them out. We're good at intimate activism, so use us in that way. And we're good at intriguing people by doing strange little things that help create conversations and thought. Introverts, my course of action for you is, I know you like being on your own. I know you like being in your head. But activism needs you, so sometimes you've got to get out there. It doesn't mean that you've got to turn into an extrovert and burn out 'cause that's no use for anyone. But what it does mean is that you should value the skills and the traits that you have that activism needs. So for everyone in this room, whether you're an extrovert or an introvert, the world needs you now more than ever, and you've got no excuse not to get involved. Thanks. RAZ: That's Sarah Corbett. She's founder of the Craftivist Collective and author of the book "How To Be A Craftivist." You can see her full talk at ted.com.